Add monitors and emergency contact number – How can we help? One of the key advantages of having Roost Smart Home devices is that you can invite other trusted people to receive notices of an alarm in your home. You can also set up easy access to emergency numbers. To get the most out of your Roost Smart Home device we recommend you take the time to customize some additional settings and familiarize yourself with the application. A Monitor is someone you invite to receive notifications when any Roost device at an address sounds an alarm. Most people will only have one address, but if you have more than one address, for example a vacation home or rental property, you can add Monitors for those addresses also. Inviting neighbors or other family members who live in your home to be Monitors of your Roost devices increases the likelihood that someone will be able to take action in the case of an emergency. This is especially important when you're away from home. 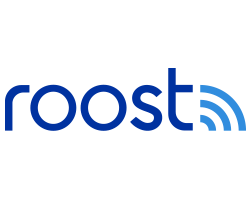 When you invite a Monitor they will be asked to install the Roost app so they can get alerts in case of emergency. After you have set up your Roost Smart Home Devices at a location (for example in the image below, "Home") tap on the icon of a single person with a "+" to the right of the address tile. You can also tap the '+' at the bottom of the home screen and add a monitor from here. Follow the app instructions to invite contacts from your smartphone address book. Once you have sent requests for people to monitor your devices and they have accepted, the single person icon will change to multiple people (for example, in the image below at the address "Office"). You can tap on this icon at any time to see who is monitoring your devices at that specific address. From here you can also call or remove any monitors. If your invitee does not already have a Roost account, they will receive a text invitation to monitor your address, along with a link to download the Roost app. If your invitee already has a Roost account, they will receive a push notification on their smartphone asking them to accept becoming a Monitor for your address. If you are monitoring someone else's devices, they will show on your home screen in the Roost app as a new address with their name and the device's nickname. We recommend that you consider which emergency contact phone number you'd like to have one-touch access to call in case of an alert. This emergency contact is a fire or safety organization and is different from a Monitor. The app comes pre-programmed with 9-1-1. However, if you dial 9-1-1 from your mobile phone, chances are your call will be routed through a number of operators. Or if you're away from home, you may be routed to the emergency hotline for your current location, not for the location of your alarm. To reduce the response time in case of emergency we recommend you find and program the phone number for your local emergency services into your Roost App. In the case of fire, you'll have fast access to your local fire department. You can enter an emergency contact for each address in your Roost app by tapping the arrow next to your address nickname at the top of your Roost app home screen, then entering the emergency contact at the bottom of the screen. Be sure to tap "Save" before leaving this screen. Can neighbors or friends monitor my smart devices?